Separated by the treacherous waters of the Bass Straight and positioned some 240km south of mainland Australia, Tasmania, or ‘Van Diemans Land’ as it was formerly known is the 26th largest island on earth and home to some of the best gravel riding known to man. 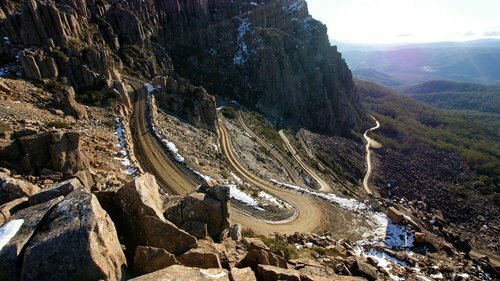 Hobart, the capital city of Tasmania is a surging metropolis but what most don’t realise, is that just kilometres from the city’s edge lies desolate National Parks, endless gravel roads and climbs that last for hours. The ‘Tasmanian Gravel Adventure’ departs from the coastal town of Devonport on Tasmania’s Northern coast. Heading East, riders will cross Batman Bridge en route for the highlight of the trip, the world famous ‘Ben Lomond National Park.’ Here, riders will be greeted by long gravel switch backs with exquisite views of the valley floors below. Following two nights in Launceston exploring everything this incredibly city has to offer, riders will set off West towards Deloraine before making their way North to Devonport to wrap up a truly incredible five days on the bike. 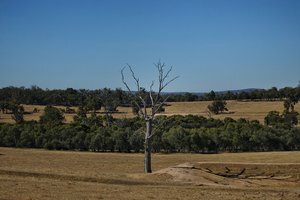 If Gravel is your thing, and you enjoy remote landscapes, the ‘Tasmanian Gravel Adventure’ is sure to tick all the right boxes. - Depart en route for Lilydale and a mix of both gravel and tarmac. A number of - fantastic photo opportunies throughout the course of the day.